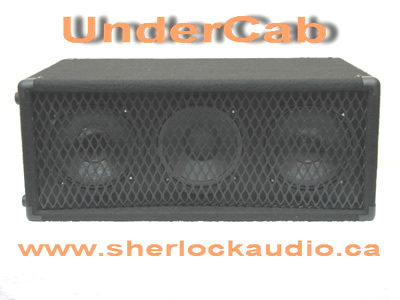 Sherlock Audio Canada introduces The Undercab, the first in series of new specialty speaker products for musicians. 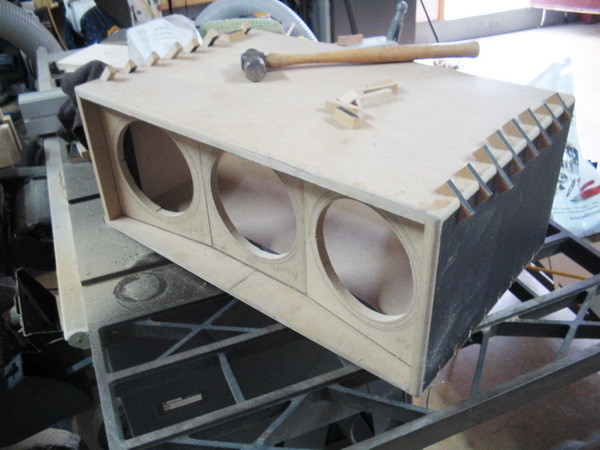 The Undercab was developed for the combo amp owner, as a more compact alternative to conventional, bulky, extension speaker cabinets currently available. The UnderCab’s slim, low profile was designed to fit under most typical “single speaker” combo amps without hogging up more real estate on stage or in the studio. The UnderCab’s compact, format also easily stows in the trunk or back seat of any vehicle-easily appreciated by players that have to ”pick up & go” to that quick gig or spur of the moment recording session. 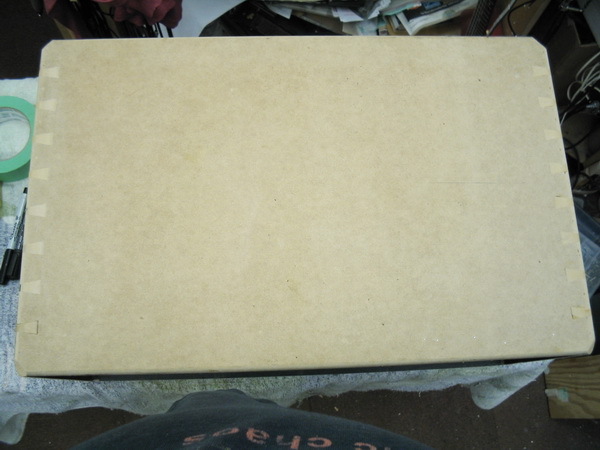 BIG tone in a li’l box : : 22” wide x 14” deep x 9” high. Most small diameter speakers have a tendency to sound overtly bright & harsh, many imparting some pretty trebly, ”ice picky” top end. The UnderCab’s drivers are “broken in” for several hours to ensure they consistently “deliver the goods”. Then, each array of drivers is specifically treated, in our shop, to yield it’s own unique “voicing”. 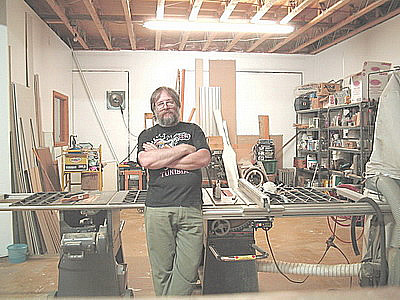 After the driver’s installation, each cabinet is then optimally tuned for the best balance in tone and response. Through the use of our customized triple driver array of proprietary & custom spec’d drivers, CAD, alignment jamming tricks, and a pretty good set of ears, we can now offer three uniquely voiced models to choose from, for club, studio and home use. The Studio Lite: Features a triple driver complement of custom 6.5 category transducers, specially mod’ed for this model’s voicing, mounted on a multi-angled baffle for improved dispersion. 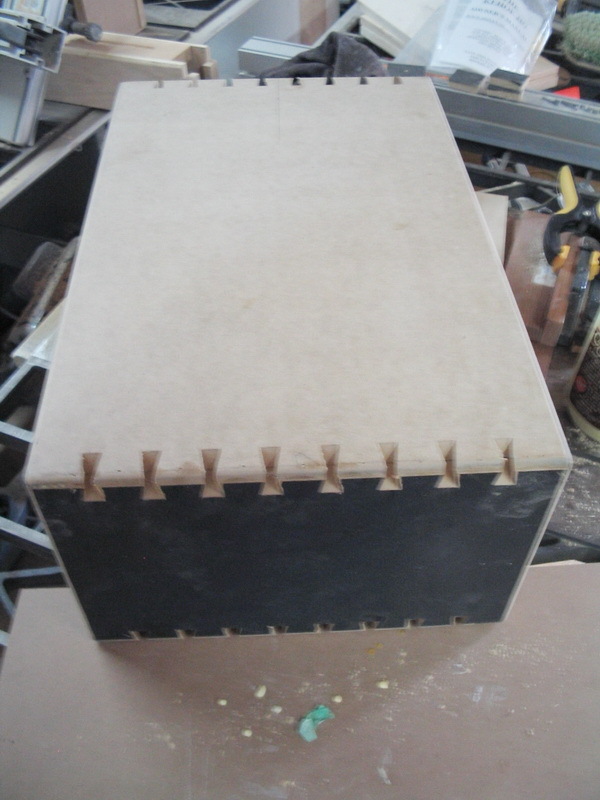 Rabbeted fiberpine enclosure with our unique,superior quality,locking dovetails construction. Available at this time, in black carpeted finish only. The Yankee Model: Features a triple driver complement of custom 6.5 category Eminence transducers, specially mod’ed for this model’s voicing, mounted on a, multi-angled baffle for improved dispersion. 200 watt power handling capacity at 8 ohms. Multi-ply birch, rabbeted with our unique, superior quality, locking dovetails construction. Available at this time, in black vinyl or black carpeted finish. The British Model: Features a triple driver complement of custom 6.5 category Fane and European SICA transducers, specially mod’ed for this model’s voicing, mounted on a multi-angled baffle for improved dispersion. Available at this time, in black vinyl or black carpeted finish.. The UnderCab isn’t designed to replace or compete with a 4x12” for concert stage sound pressure levels. However, for those seeking tone, stick a mike in front of this li’l box for recording and you’ll be rewarded with a sonic treat! For club use, the UnderCab’s triple driver array yields more effective cone area than a typical 10 inch extension speaker. 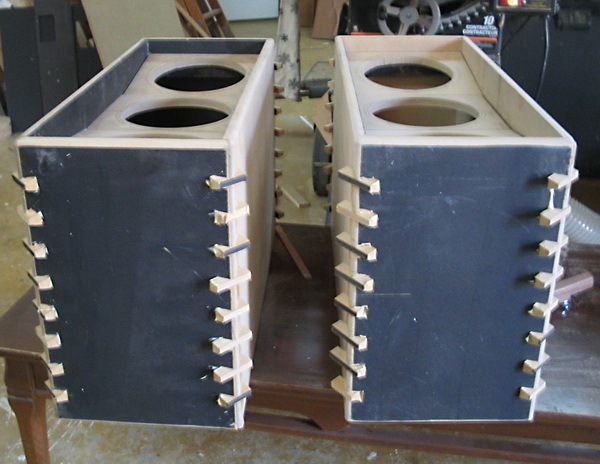 It’s unique design allows a much smaller “footprint” than a standard 1x10 or 1x12 extension speaker cabinet. 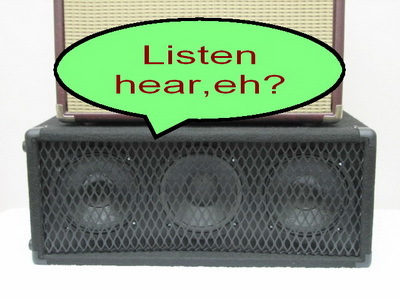 Also, a typical combo amp’s speaker suffers from a narrow “beam effect”. The UnderCab’s multi-angled baffle, improves the typical combo amp’s dispersion, spreading sound over a wider area on a club’s stage, helping to alleviate this beam effect. While primarily designed for use under most typical 112 type combo amps, the UnderCab can also be used solely, as the main speaker cabinet, with smaller sized amp heads (Orange Tiny Terror, Vox Night Train, Blackheart, Epiphone Valve Junior, Egnater Rebel, are a few examples). Currently, build times, from start to completion: approx. 4-weeks. Contact us at : info@sherlockaudio.ca for model availability and shipping information. All Undercab products are proudly designed and individually custom built in our shops in the Seaway Valley area, Cornwall Ontario, Canada by a real, live Canadian!